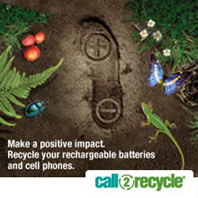 This battery is to be soldered to PB board or connector pin. 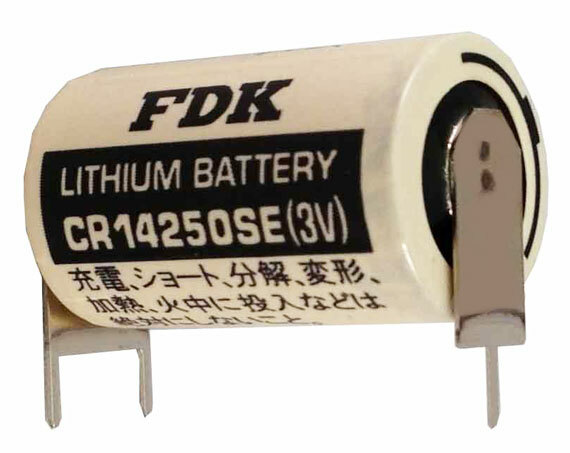 This battery will come labeled FDK as pictured. 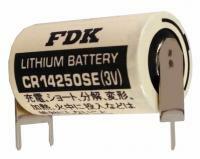 FDK bought out Sanyo's cylindrical primary lithium battery unit in 2009 and has changed the branding of this product from Sanyo to FDK.